I just finished tooting my horn about my mammo (http://wp.me/p1pIBL-GG) and here I am, tooting my horn again. Directly, not indirectly. But it’s rare I get to toot about my second love (my first being family)…writing. I have had the honor of being published in a delightful twice-yearly publication entitled, Crone: Women Coming of Age. 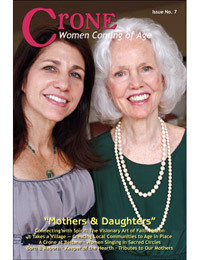 It is a wonderful publication that that honors our deep wisdom as eldering women. Hand in hand with Humoring the Goddess, Crone celebrates women as they — we — get older, honing in on our experience, our heart, and our spirit. The article is called, “We Need a New Name for Crone.” It’s an upbeat piece about choosing our life’s direction, and the balancing of both the past and the future. 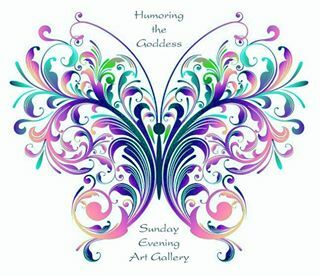 Open to women of all spiritual paths, Crone is a richly-illustrated, advertising-free 128-page magazine published twice yearly in both paper and PDF eZine formats and available by subscription only. It is filled with stories from women of all walks of life, all looking for their own path towards the future. If you want to see what the world of life and spirit is like on the other side of 50, you will really enjoy a subscription to Crone. You can find more information at http://www.bbmedia.com or http://www.cronemagazine.com. Let’s hear it for getting older!